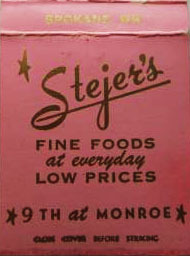 Stejer's - fine foods at everyday low prices. 9th at Monroe. Congratulations to "future customers." Every day low cost food.